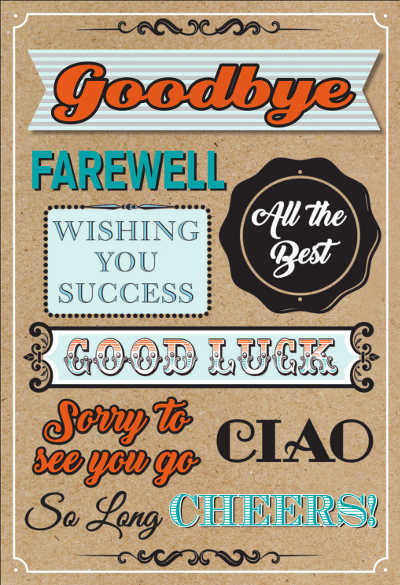 Profit from this absolutely unique and in-demand Candle that will fly off your counter and have your customers clamoring for more. 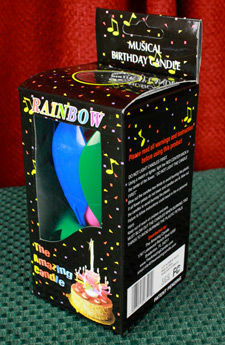 The Rainbow Amazing Candle will add special memories to birthday celebrations. 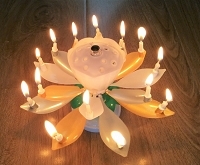 Your customers will never forget the birthday cake with its amazing candle that self-lights multiple mini-candles, opens up like a beautiful flower, revolves and plays the traditional Happy Birthday music. It does everything except eat the Cake - the wowed guests will still have to do that.This is truly an Amazing Candle! 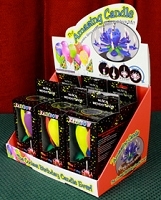 Perfect for Supermarket Bakeries, Party Stores and Gift Stores.